Laminating two pieces of glass with a thermoplastic interlayer began as a safety measure. 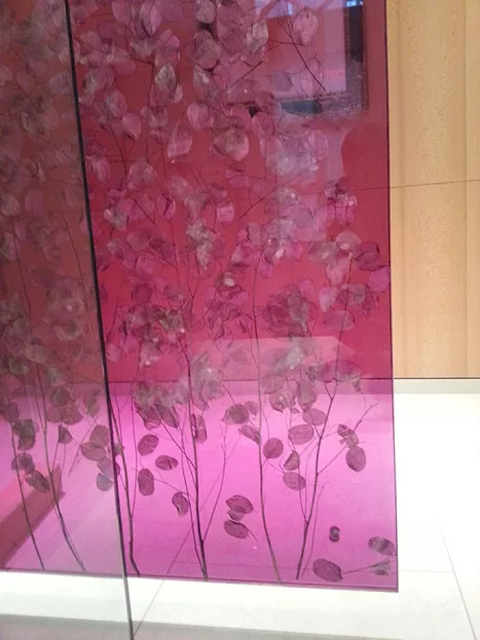 Adding interesting decorative layers to the lamination turns laminated glass into a true art form. Giovani Glass & Mirror offers a variety of different decorative layers. Each offers a unique texture and translucence to transform a space. In addition to our standard interlayers below, we can use a variety of custom-printed or organic materials. Contact us to get creative! You can laminate nearly any type of glass we carry, including clear float glass, Low-Iron float glass which eliminates the green tint of standard glass, mirrored glass, pattern glass, cast glass, sandblasted, etch design or carved glass, back-painted or silkscreened glass. We've laminated glass that’s been treated to resemble stone or marble, or to be magnetic.